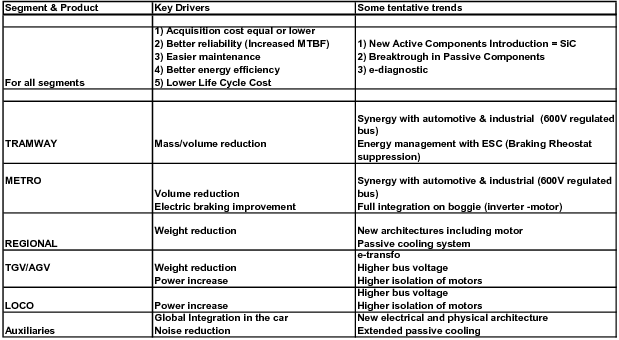 • In general, price of new traction drive must be more and more competitive. In PRIMES (Platform for Research in power Integration, Management of Energy and Storage), power technologies are developed and tested to meet the requirements described in the above table. The presentation will detail two technologies that have a very high application potential: wide band gap semiconductors and passive cooling. Ing. Alain Jullien is currently director for Development and Industrial Relationship – Innovation & Research Group. Electronic engineer, with more than 39 years spend in railways business, he began is career in research with the challenge to design first chopper in 1970. After different jobs like Quality manager, Sourcing director, Head of technology, International sales he has been responsible to implement research strategy on the site of Tarbes from the last ten years. In 2001, he has been in charge to organize PEARL cooperative lab, and is President of the innovative platform PRIMES. 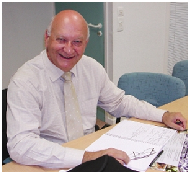 He is well known in France for its feeling on Mechatronics strategy. Also coordinator of all electronic federating program within aerospace Valley.